These are the major public databases of crystal structure and related data. They are generally maintained by large organisations and are valuable resources for the benefit of science as a whole. These are academic or small-scale databases which are not maintained with the same level of longevity or security that is expected of the primary Databases. 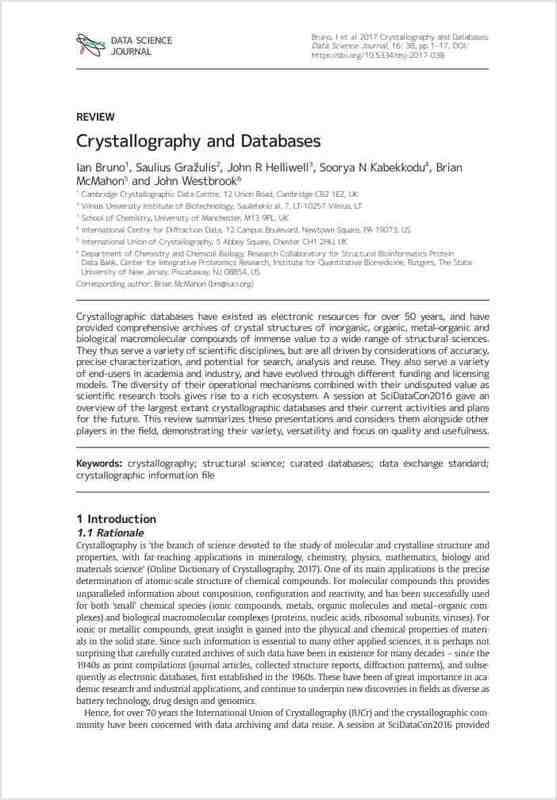 These are links to other databases in other subject areas that are nevertheless of interest to crystallographers.